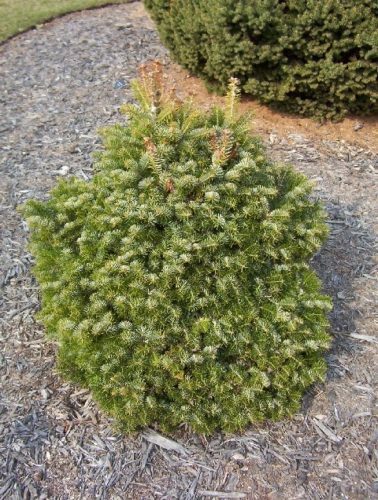 Abies cilicica ' Spring Grove' is a compact, rounded dwarf selection of Sicilian fir with green foliage. After ten years a mature specimen will stand 30 inches (75 cm) tall and 18 inches (45 cm) wide, a rate of growth of 2 to 3 inches (5 - 7.5 cm) per year. 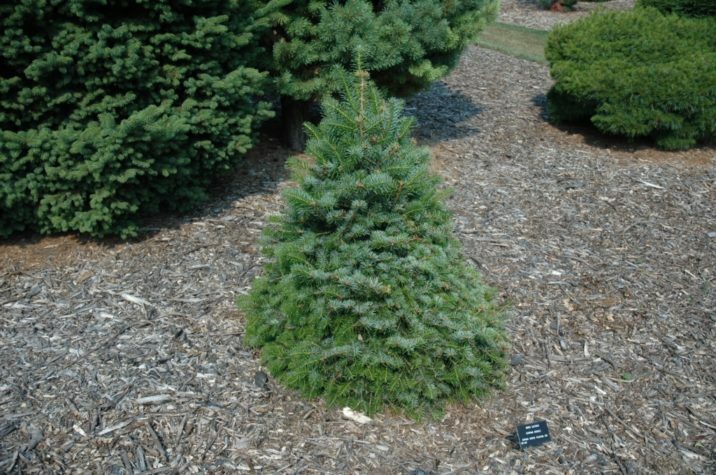 Of the many dwarf firs in cultivation, this is one of the most tidy and formal looking. It is very scarce in the nursery trade, but worth seeking out. This cultivar originated in the mid 1990s as a witch's broom found Randy Dykstra of Fulton, Iowa in section 110 of Spring Grove Arboretum, Cincinnati Ohio, USA. This plant is sometimes seen listed as 'Spring Grove 110.' Randy is known to have found and introduced many conifer cultivars that originated as witch's brooms in Spring Grove Cemetery, the majority of which have been published with the section number pertaining to the part of the cemetery where they were found. Abies cilicica 'Spring Grove' —at Bickelhaupt Arboretum, Clinton, Iowa, in the Heartland Collection of Garden Conifers. Abies cilicica 'Spring Grove' — the same plant at Bickelhaupt. This is likely the oldest plant in cultivation.